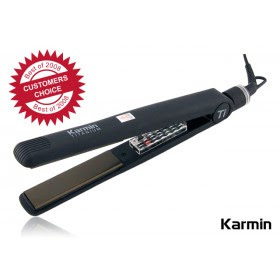 Winner of the Karmin Flat Iron Giveaway! We are happy to announce the winner of a new Karmin Titanium Hair Straightener Iron (worth $100) courtesy of Myhairstylingtools.com and the Palacinka Beauty blog! International customers can use http://www.BongoUs.com for their US Address. Get your fat iron sent anywhere worldwide in 5 days! Thanks so very much! I am beyond thrilled! I use www.myUS.com and they are great. Best rates too.